The only thing more painful than gas prices may be the toll-road hell Texas is about to enter. Gas prices topping $4 a gallon. Freeways that have become parking lots – if you can get to them through surface-street traffic jams caused by fast growth, urban sprawl, and inadequate road planning. Transportation planning in Texas in general seems to have turned into a careening Mack truck that’s just as liable to plow into a city as help it. New highways are needed to get more and more people to work and get NAFTA traffic from the Rio Grande to the Red River, but the state says it doesn’t have the money to build the roads and bridges and interchanges that are needed. Could driving get any more unpleasant? Sure. Welcome to the smoggy dawn of the Toll Road Era in Texas. State leaders say the only way they can dig Texas out of this transportation mess is by charging you more to drive. That could mean a higher gas tax, although legislators haven’t found the courage to raise the tax since 1991, for obvious reasons. But with gas prices seeming to go up a dime a week or more anyway, voting for a gas tax hike may no longer be an automatic ballot-box death sentence. In the meantime, though, politicians and transportation planners have gone to Plan B: Get the money from taxpayers through toll roads. Any new highway construction in North Texas in coming years will have tolls built in – they’ll either be toll-only new highways or toll lanes added to existing ones. And the pain won’t just be in nickels and dimes – try hundreds of dollars a year, far more than the increased gas tax would cost. Toll tags may soon be as common in Texas as cell phones. The last time Tarrant County drivers had to pay tolls was in 1977, when the last quarter got dropped in the basket on the section of I-30 going through Arlington. The tolls stopped only when Fort Worth sued the North Texas Tollway Authority, insisting that the highway had been paid for and tolls were therefore no longer needed. But 30 years later, leaders in Fort Worth and the other Tarrant County communities are pushing for tolls. Within five years, toll roads will be part of the county landscape. 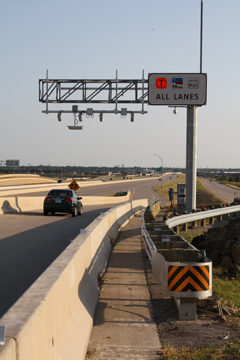 State Highway 161 will run from just south of Dallas/Fort Worth International Airport to I-20 at the county line – six lanes of toll-only access. Hwy. 161 is expected to be completed by 2011 and help relieve traffic from the new Dallas Cowboys stadium in Arlington. That same year, the Southwest Parkway – six toll lanes of highway from downtown Fort Worth to Altamesa Boulevard (and eventually to Burleson) – is expected to open. And those two are only the beginning. The DFW Connector or “Grapevine Funnel” as some call it, will be sort of a toll interchange, charging cars that use any of the four highways just north of DFW Airport. The North Tarrant Express will add toll lanes to Airport Freeway and to the portion of Loop 820 from Northeast Mall to I-35W, as well as toll lanes on I-35W from downtown Fort Worth north to Alliance Airport. Other toll lanes are planned on Hwy. 170 near the Texas Motor Speedway and Hwy. 360 south of I-20. And that’s not even including the massive Trans-Texas Corridor, which is supposed to eventually skirt Tarrant County. If all this makes your head spin, then you’re in company with state leaders. Take a deep breath and get ready to make some choices: Get in the toll lanes, and you’ll probably get there faster, but you’ll pay for it, maybe more than $700 per year. Stay in the free lanes, and you’ll probably be stuck in traffic, but you’ll save some dough to help refill that gas tank. 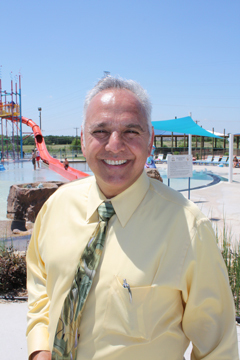 “We don’t like toll roads, but it is really the only way we can see to pay for the needed highways at this time,” said North Richland Hills Mayor Oscar Trevino, who chairs the Regional Transportation Council of the North Central Texas Council of Governments. “Citizens feel their gas taxes should be paying for the roadways,” he said. “The truth of the matter is that the cost of the roads is not being covered by the gas tax. Making it more difficult is that the Texas Legislature has been diverting the gas tax revenues to other projects that have little to do with transportation. “We have been waiting for the expansion of Loop 820 since the mid-’80s, and it still isn’t even close to getting started,” Trevino continued. “Everyone is stuck in traffic, and it’s killing their quality of life. Even if we increased the gas tax, we couldn’t fund the needs today or the needs of the future.” “It is extremely complicated – that’s what makes this so difficult,” Trevino said with a sigh. The complications with Texas’ gas tax, from transportation planners’ point of view, started when legislators first moved to siphon off money from the state’s highway fund for other uses. Since then, more and more state and local agencies have joined the line to fill their jars with money originally intended for road and transit work – but the tax is still at 1991 levels. With a fast-growing population and a rising need for roads, it’s no wonder the funding picture is more confusing than navigating the Mixmaster. The state tax is 20 cents per gallon, which is in addition to the national gas tax of 18.4 cents per gallon. But the tax is not “indexed” – it is flat, not rising with either inflation or the price of gas. In the spring of 1991, gas was going for about $1.15 a gallon, so that the state tax was about 17 percent of fuel costs. With gas now about $3.90 per gallon, the state gas tax is just five percent of the total. With an increased population and more miles driven, total state highway tax revenues – which includes fuel taxes as well as motor vehicle registration fees and other fees – have continued to climb, from about $3.7 to $6.7 billion over the last decade. But the costs of and need for roads have risen even faster. During the past decade, highway construction costs have nearly doubled, mainly due to increases in the price of building materials like asphalt and concrete. Even with a static tax rate, the highway fund might have been able to keep pace with need, had the legislature not plucked large amounts of transportation revenue from the fund for other uses. In 1946, voters passed the “Good Roads Amendment” to the state constitution, setting aside one-fourth of the fuel taxes for state school funding. That now amounts to about $750 million a year from the $3 billion raised through the tax. But starting in 1986, Texas legislators began diverting transportation funds for other programs besides education, and the highway building coffers have been under siege ever since. The Texas Department of Public Safety received $526 million last year in supposed highway money. The Texas Department of Commerce received $1.8 million in highway funding to promote tourism. And next year, even the Lufkin Tourist Information Center will get $150,000 of it. Since 1985, more than $12.6 billion in “non-highway-related appropriations” have been taken out of the fund, according to the Texas Department of Transportation, or roughly 15 percent of the total. If the gas tax was raised by 10 cents, the state would get an additional $665 million in funding. Add to that the $1.5 billion a year in diverted funds, and TxDOT would be receiving more than $2 billion, or about one-fourth of its current budget. State Sen. John Carona, chairman of the Senate Transportation and Homeland Security Committee, is in favor of raising the gas tax and tying it to inflation figures and other indexes – but only if the diversions from the fund are stopped. But Carona spokesman Steven Palunsky, staff director of the transportation committee, said even with a gas tax increase, “toll roads are not going away.” If we want to solve the highway problems, he said, “then we need to use all the resources necessary, and toll roads are part of the solution.” Raising the gas tax – and stopping the diversions – are still items of heated controversy. State Rep. Lon Burnam of Fort Worth sees plenty of problems at the highway agency but doesn’t think that taking away money for education is the answer. A little math shows how expensive the tolls could be. If a commuter drove the 8.4-mile stretch of Southwest Parkway to and from a downtown job five days a week for 48 weeks a year, the car would rack up 4032 miles. At 25 miles per gallon, the driver would pay $32.25 a year in gas taxes at their current 20 cents a gallon level, or $48.38 if the tax were raised by 10 cents. The increase works out to about three cents per trip. On the other hand, at a $1.50 toll each way, the commuter on the Southwest Parkway would pay $720 per year to get to and from work. All the funding questions are based on estimating the state’s future highway needs. TxDOT and Gov. Rick Perry’s office claim the state’s road bill over the next 25 years will be about $85 billion. But the Texas Transportation Institute, a think tank based at Texas A&M University, said in a recent study that the figure is more like $44 billion. The researchers and planners also came to the conclusion that toll roads are not needed to – as the TxDOT newsletter says – keep Texas moving. Predicting what Texas’ motoring universe will look like in 25 years is tough. Five years ago no one thought $4 gas prices could really happen. This year, driving miles in the U.S. will actually decline – something else no one ever thought would happen. Some observers believe high gas prices will make toll roads unworkable. They figure that will wreak such havoc on household budgets that few people will be willing to pay tolls and instead will be looking for homes closer to where they work and pushing governments to provide serious mass transit options. A study two years ago by the consulting firm Vollmer Associates, which advises private toll road companies, found that toll roads would be economically unfeasible if gas prices went above $3 a gallon. Now the pump price is a buck higher than that, with no ceiling in sight. Despite news stories about folks continuing to travel this summer, Americans do seem to be changing their driving habits. The U.S. Department of Transportation found that Americans drove 11 billion miles less in March of this year compared to the same month last year. That’s a decline of 4.3 percent, the largest drop since the agency began keeping records in 1942. 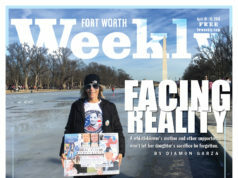 Terri Hall, of the San Antonio-based Texans United for Reform & Freedom (TURF), has been fighting the toll road buildup. Her organization believes that the toll roads are not needed and are simply an excuse to privatize the state highway system. “We have studies that say the transportation needs can be worked out with a small increase in the gas tax, as long as we also clean up the waste, fraud, and abuse within TxDOT,” Hall said. “A gas tax is pennies a day, but a toll is dollars a day. And those dollars are likely to be going to private companies. 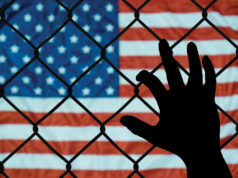 “This has really jumped up on people quickly, and folks don’t realize how all this is going to affect them,” Hall said. “It is not on a lot of people’s radar right now” because the toll road boom hasn’t affected them yet. “But we are trying to show people they won’t be able to escape the toll projects, and they are going to be double-taxed to use the roads,” she said. Funding for state and federal highways used to be fairly simple. The government agencies would float bonds for the projects, hire private contractors to build them, and then pay off the debt with tax revenues, including the gas tax. But a few years ago, some private companies, many of them foreign, began to see the looming U.S. transportation crisis as a good way to make money: Offer the government agencies up-front money to pay for road construction, then use the tolls accumulated over decades to pay off their debt and turn a profit. Many Texas officials thought this was a way to move the public burden of transportation into the private domain. In short, the state would choose where the new roads would go, choose the companies, and then shift the remaining burden to those contractors. That way of thinking is fraught with pitfalls. For one thing, bureaucrats began to assume that all new roads could be built with toll lanes, needing no upfront money. But the cost savings are somewhat of a mirage – taxpayers are still footing the bill, and now they’re paying for private-firm profits, on top of the actual construction costs. The private companies also demanded that “non-competing” clauses be written into their contracts, banning the state from building any highways in an area of up to four miles from the privately run toll roads. The companies would also have the right to set toll road rates over time periods in excess of 50 years. And there was no timeline that would keep track of toll revenues and shut them down once the road was paid off, as happened in Arlington 30 years ago. But during the last year, the state has been forced to respond to some of that simmering citizen anger over toll roads and the Trans-Texas Corridor. Perry’s original plan was to use private firms to build the TTC and other toll roads and then use the toll fees to pay off the companies for their investment. But in the wake of public outcry that included everyone from farmers to environmentalists, the Texas Transportation Commission (an appointed board that oversees TxDOT) has changed its policies to restrict the role of private companies. Last month, the Texas Transportation Commission issued a set of rules that may make it harder for the companies to gain control of new toll roads and toll lanes on existing freeways. The new rules give local organizations like the North Texas Regional Transportation Council the ability to set toll rates, deny requests for non-competing clauses, and prevent tolls from being charged on existing highway lanes. That doesn’t mean the private companies are out of the picture, but their profit margins may be thinner. And the rules have also opened up the competition to allow local transportation agencies, like the North Texas Tollway Authority (NTTA), to move into the business of building toll roads as well as managing them. NTTA currently operates the Dallas North Tollway and the President George Bush Turnpike, both in Dallas County. Bad blood from the fight between Fort Worth and the NTTA over the Arlington turnpike kept the tollway authority out of Tarrant County for many years. 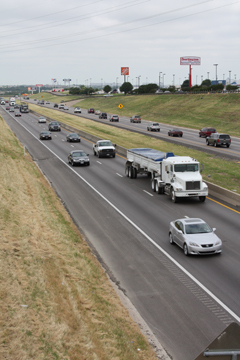 Recently, however, TxDOT awarded the $3.1 billion contract for the Hwy. 121 project northeast of DFW Airport to NTTA instead of to a private firm. Profits will help pay for future local road needs. The funding mechanism for highways, therefore, may be shifting gears again. In the past, the state assessed the needs and paid for roads with statewide taxes. Now, the local organization is funding the projects and paying them off with local tolls. If all this seems very complicated, it is. The state needs new roads (as it always has), and politicians don’t want to raise the gas tax to pay for them. Consumers can’t fathom paying $4 a gallon. Toll proponents say this is a user fee, a great libertarian/right-wing/less-government-spending concept. Opponents of toll roads rail about public ownership of roadways and how the public is being charged twice. But the party line for transportation- planning officials is that toll roads and lanes will be part of the equation because there is no other choice. One choice rarely considered is integrating mass transit with road expansion. Rather than build four toll lanes in the center of the highway, transit supporters have suggested that passenger rail lines might alleviate congestion by getting cars off the road and improving air quality. 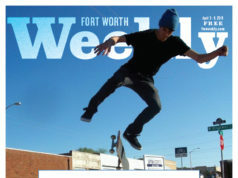 Take the widening of I-35W from downtown Fort Worth north. The plans are still tentative, but the idea is to expand the four-lane interstate to 10 lanes, with four toll lanes at the center and six free lanes on the outside. Could putting a light-rail line down the middle have the same effect as the toll lanes? Probably not, local officials say. The mass transit would only work for those commuting back and forth from downtown to Alliance. In short, there are not enough likely riders at this point to justify such a system. “I don’t think we have the density patterns for a rail system integrated in with the highway expansion,” said Russell Laughlin, a senior vice president for Hillwood Development and president of the 35W Coalition, a group of business and community leaders advocating the expansion of I-35W. Hillwood Development is the major real estate development firm around Alliance Airport, headed by Ross Perot Jr.
OK, so you figure toll roads and lanes are inevitable. Your plan is to avoid them when you can and, when there’s no other good option, toss your quarters in the basket and take advantage of the lighter traffic to put the pedal to the metal and get where you’re going faster. Well, not so fast, actually. The NTTA is phasing out toll booths and cash payments. A toll tag will be the only option, and it will record the amount of miles driven on any toll road in the state. Those without the tags will get a bill mailed to the address listed on the license plate records. And that pedal-down thing? Sure, if you want to pay more. The new toll roads will have a sliding scale based upon speed. If you average 50 miles per hour, the rate will be the standard fee; if you average 35 mph, you’ll get a discount on your toll tag bill. The fees change according to times, too. Need the tollway most during rush hour? Of course! Therefore, that’s when toll fees will be highest. The way roads are being planned is changing as well as the way they’re being paid for. One of the results of Perry’s heavy-handed push for the Trans-Texas Corridor is that citizens are seeking more local power in highway planning, as evidenced by the NTTA’s influence over the Hwy. 121 project. There is also an effort now by some legislators to get rid of the Texas Transportation Commission. Much of the controversy centers on Perry’s recent appointment of his former chief of staff, Deirdre Delisi, to chair the commission. “When the governor put a staff member in as chairman … I think that will cause questions,” State Rep. Linda Harper-Brown told the Tarrant Regional Transportation Coalition at its meeting last month. “TxDOT has done more to harm transportation in the last five years than they have in the history of the state of Texas,” the Irving Republican said at the meeting. “Everyone will agree that TxDOT needs more money. But how do you convince the public they need more money when they behave the way they have for the past few years?” One major sore point with legislators is the $1 billion accounting error TxDOT admitted to this year – which put the agency in the position of having committed to projects it did not have the funding for. Controversies over the Trans-Texas Corridor have led to the state’s changing some of its toll road policies, including not favoring private business interest in building the roads and collecting the tolls. 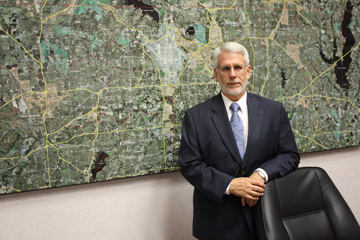 The death of Ric Williamson last December, former chair of the Texas Transportation Commission and hard-charging toll road advocate, took one of Perry’s frontmen out of the equation. Many legislators and congressional leaders are also seeing the political fallout with voters on the state policy of embracing toll road construction. On the other hand, local leadership seems to be pushing for toll roads as a way to get any roads built. Rather than waiting decades for TxDOT to push new highways through, local agencies like the NTTA can use toll road fees to get the highways built. That doesn’t bring down cost, but it can speed up the schedule. At a meeting in Austin last month, the DFW Partners in Mobility made its their annual presentation before the transportation commission. 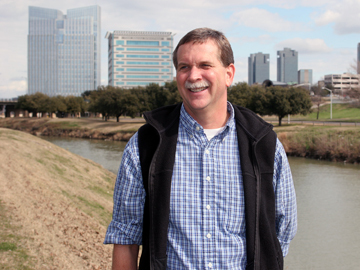 The group is made up of local elected officials such as Trevino, Fort Worth Mayor Mike Moncrief, Dallas Mayor Tom Leppert, and regional planners and chamber of commerce members. The group asked for several issues to be addressed in the 2009 legislative session: stopping the diversion of transportation funds to other uses, raising the gas tax rate gradually and tying it to inflation indexes, and allowing cities and counties to increase transportation-related taxes – like vehicle registration fees – locally to pay for road improvements. Maybe the end is near for the Texas tradition of the open road, of getting in the car without a second thought to go everywhere, whether it’s two blocks for a loaf of bread or two days on the road to visit Grandpa. And maybe that’s not all bad, if it leads to more mass transit, more fuel-efficient cars, and less driving in general. In the meantime, that “just drive” lifestyle is going to become more painful, whichever way the funding choices go. Don’t expect that second item on the mayors’ list to be taken care of in the 2009 legislative session, “because the political will is not going to be there when gas prices are hitting $4 a gallon,” said State Rep. Rob Orr, a Republican from Burleson.